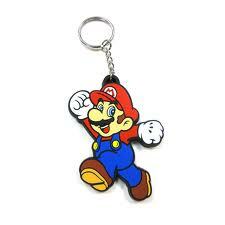 Deck out your keys with this stylish Mario Keychain! Available only in the United States not available to Alaska and Hawaii. Holy shhh! That seems like way too many coins to spend on a just a keychain, doesn't it? For that amount of coins, I think it should also be equipped with a remote start for your automobile too. Update: Oops, my bad. I thought this was a new Club Nintendo reward that costs 3,500 coins. Things have changed since i was last here. Why isn't there a picture of the reward? @XenobladeYuki wrote: Why isn't there a picture of the reward? hmm google images has too many!!! 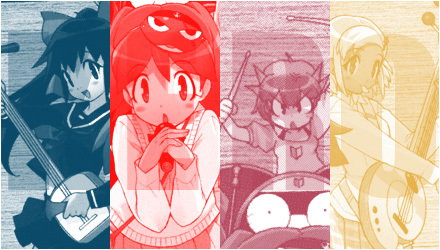 rukia would you please tell me what one it is so i can add it here... thanks. The one at http://www.poweruprewards.com . I have no idea what the thing looks like. I can post a pic but I may be the wrongone. I guess I'll spend 3,500 of my coins on this collectible keychain. I'll send you my mailing address when you respond Stinkerbri. Sure send the info via PM I'll ship the keychain within the next 2-3 weeks via standard mail using a small envelope so I don't have to goto the post office, because if I did you'd be waiting 3-4 months lol. WiiAboutU was your address incorrect? The keychain was returned to my address today. Nope Rukiafan, the mailing address I gave you was absolutely correct. WTF! What should I do it might happen again...? I really don't know what to tell you Rukia. I guess I'm just going to be thwarted out of another reward once again. I got my SD card reward from H_Bogart32 in a few days and Sailormoongal got her free game from the post a lot contest almost imediately so you must be cursed by some wicked voodoo priestess. I hope you can get your reward soon WiiAboutU. You know, you're a very nice person WiiAboutU and don't worry I think this bad mojo curse is more on my end than yours. I'm probably the biggesst bad luck charm in the world, my luck IS that bad. I'll ship it out again tomorrow.